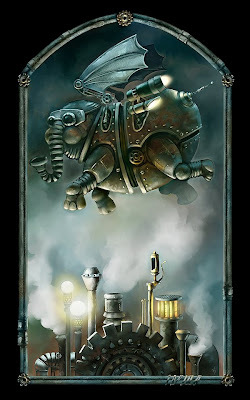 Flying steampunk elephant... original idea. 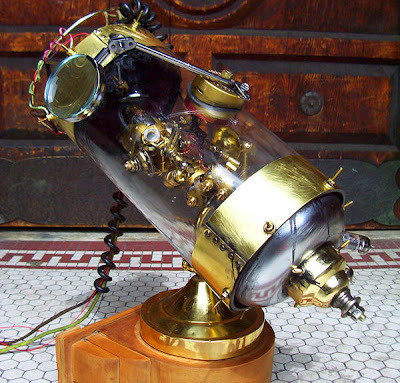 "Kardia Mechanicus" made by Ejectorhead, more photos here. 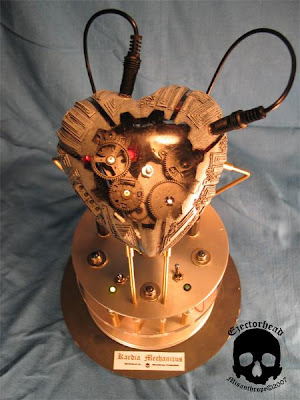 Clockwork Fetus in Chamber made by Molly Friedrich (aka Porkshanks), more photos and art here. Wow very impressive inventions, I wonder if they can work in a future. Wait a minute... what's that? I couldn't understand its forms. It seems like a heart or something like that, I would like to understand better this objects... I've been reading to many blogs related and this'll be the weird one.